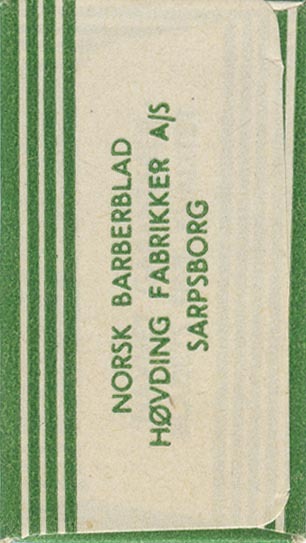 Høvding ("chieftain") was as far I can tell manufactured from 1935 to at least 1951... factory located in Sarpsborg like the Bessegg I posted about a while back - probably due to access to ample hydroelectric power, easy access to transport and a well developed metal industry. 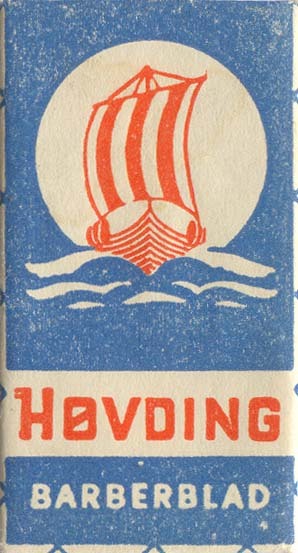 The word "høvding" comes from the old norse term for head ("hǫfuð"), and can also mean a leader in a narrower field... for instance art, politics, or polar explorations. 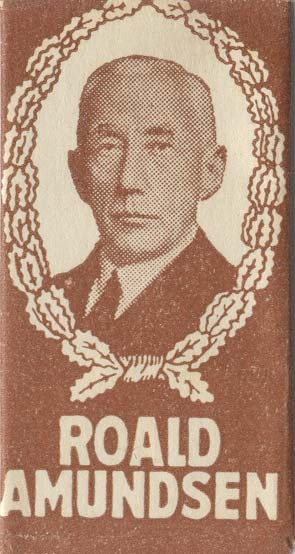 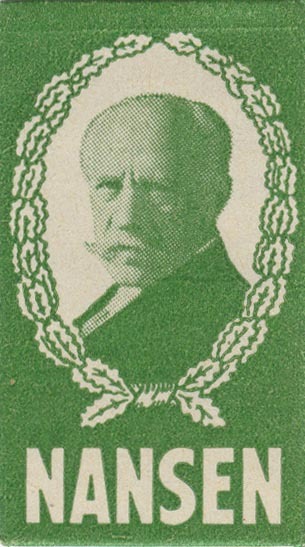 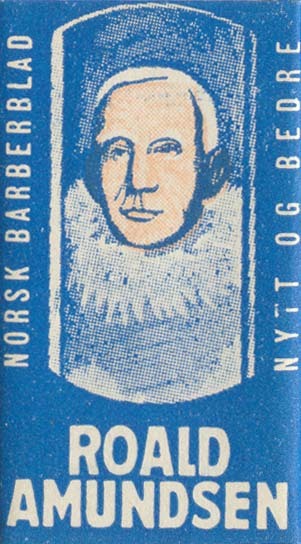 With that in mind it's not a big surprice that the factory used Fritdjof Nansen and Roald Amundsen to sell their products; both was and is considered "chieftains" in Norwegian polar history. 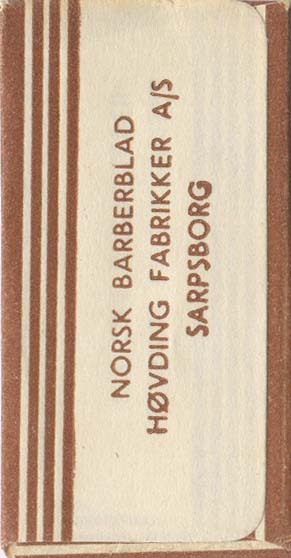 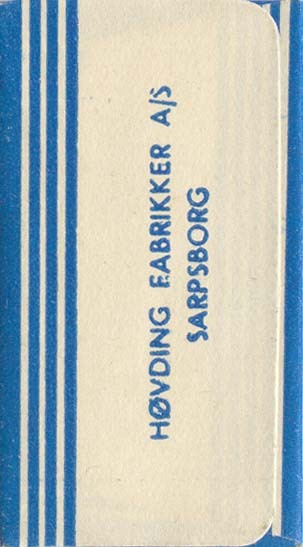 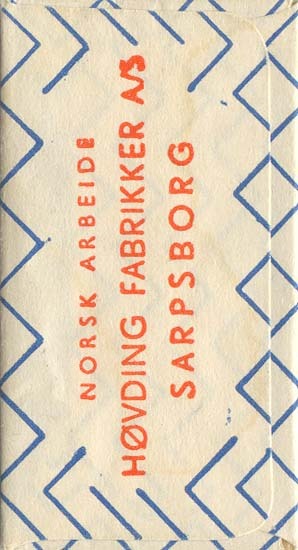 Like other Norwegian manufacturers of razor blades, they probably folded when imports got cheap enough to drive them out of the market.